Photo of Eric O’Conner courtesy of the Spalding County Sheriff's Office. Photo of Michael Roberts courtesy of the Spalding County Sheriff's Office. GRIFFIN - Spalding investigators recently partnered with detectives from the Fayette County Sheriff’s Office to investigate a series of ATV thefts that occurred in western Spalding County and Fayette County. This investigation resulted in the recovery and return of several ATV’s. Investigators have identified and arrested two individuals for the thefts. Michael Edward Roberts of Griffin and Eric O’Conner of Forest Park have been charged with theft by taking. 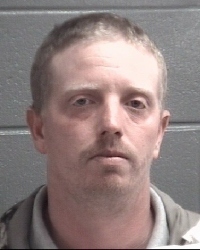 Eric O’Conner was released from the Spalding County jail after posting a $23,000 bond. Michael Roberts is being held without bond at the Fayette County Jail. The investigation is continuing, and additional arrests are expected to follow. If you have recently purchased a 4-wheeler, motorcycle or ATV type vehicle from someone over the internet, we encourage you to contact law enforcement to ensure the legitimacy of the purchase. We also encourage anyone making a purchase to have the seller contact them at the Spalding County Sheriff’s Office so that the validity of the item for sale can be verified. Additional details are expected as the investigation progresses.